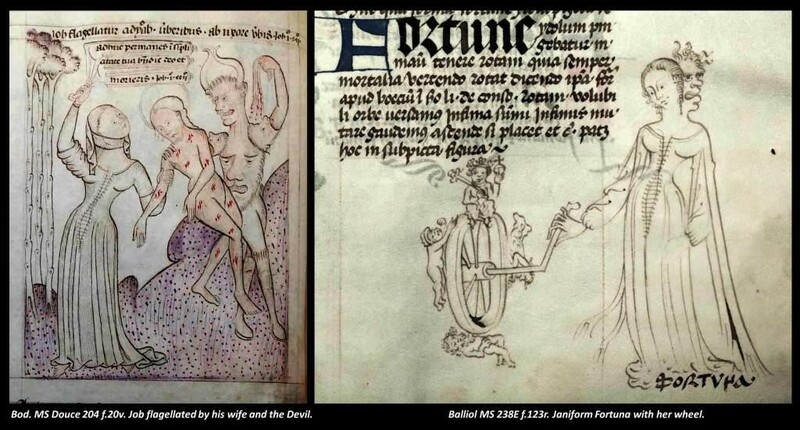 In ‘Against “Iberic Crudity”’: Balliol MS 238E, Bodleian MS Douce 204, and Laurentius Dyamas’ Anna Espínola Lynn, MSt in History of Art and Visual Culture (Wadham College, Oxford), will be speaking on the transmission of style in 15th-century Catalan manuscript production. All welcome! Feel free to bring your lunch. The talk will last about half an hour, to allow time for questions and discussion afterwards, and a closer look at the Balliol manuscripts discussed. Unlocking Archives is an interdisciplinary graduate seminar series of illustrated lunchtime talks about current research in Balliol College’s historic collections: archives, manuscripts and early printed books, and the connections between them. Balliol’s Historic Collections Centre in St Cross Church, Holywell, is next door to Holywell Manor and across the road from the English & Law faculties on Manor Road; directions here. If you have any questions, or require disabled access, please contact the Archivist.